Just bought your first fish tank and really excited to flood it & add new fish? Wait a minute! You are doing something very wrong! Without aquarium cycle, adding fish on the very first day of tank setup will become deadly. It will definitely introduce “New Tank Syndrome” and all of your precious little fishes might die! The “New Tank Syndrome” or “Aquarium Cycle” refers to the biological process that occurs in both freshwater and saltwater systems when Beneficial Bacteria break down toxic by-products of fish waste (ammonia and nitrite) into a less dangerous form (nitrate). When an aquarium is first set up it is relatively sterile – there are almost no bacteria present. We recommend adding a few very hardy “starter fish” (such as tetras, barbs, or danios). Once the cycle is complete you can safely introduce other more delicate fish into your tank. Putting fish into the tank introduces the first bacteria. 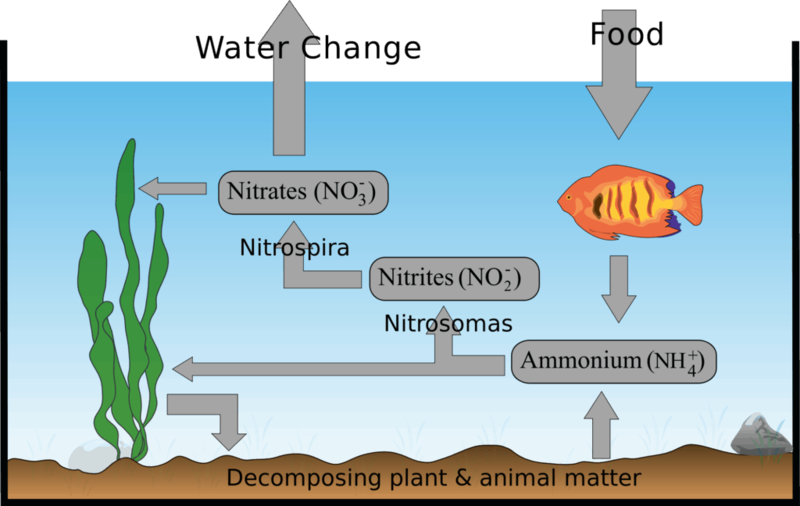 The aquarium cycle (or nitrogen cycle) then begins. During the first one to three weeks, fish waste, fish respiration, and other decaying organic matter (including decaying food from overfeeding) are broken down into ammonia by the bacteria. Ammonia is extremely toxic to fish. Even small quantities of ammonia can cause fish to die. Ammonia acts as an irritant and can damage the gill area. What do you do about it? Almost nothing. Bacteria called nitrosomonas will begin to change the ammonia into nitrite. It will take one to two weeks for enough of this bacterium to grow inside your filter media (that’s why filtration is the most important) in order to remove the amount of waste your fish produce. During this period feed your fish very lightly, once a day. Feed only what they will consume in 2– 3 minutes. If pieces of food float to the bottom of the tank, you have over fed – feed less! If you start to lose fish during this process, we recommend an ammonia-removing product such as API – Ammo Lock, Fluval Ammonia Remover or Seachem Prime. Expect the water to be cloudy. There are biological processes taking place in the tank. Do not add new fish during this time. The initial cloudiness will usually go away within the first week to 10 days. 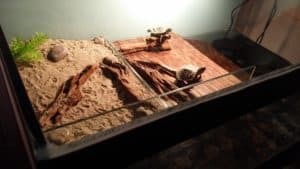 The time it takes for the aquarium to cycle may be considerably shortened – or even eliminated – by “seeding” a new aquarium with gravel from an older, well-established aquarium. 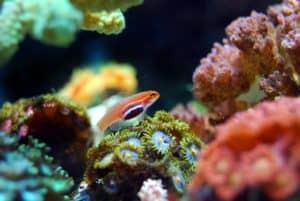 In a salt water tank the addition of live rock and live sand (in adequate quantities) will speed along the cycling time. Any of these approaches will permit a safe and more rapid growth of bacteria. Nitrites are approximately 100 times less toxic than ammonia but they, too, can cause fish to die. Nitrites interfere with the blood’s ability to carry oxygen. What do you do about it? Nothing! During this time period, another type of bacteria (nitrobacter) will change these nitrites into nitrates. If the fishes aren’t doing well, adding another dose of Seachem Prime or Stress-Zyme will usually help. Nitrates are relatively harmless, but in high quantities they can also cause fish to die. What do you do about it? Live plants and algae will use up some nitrates but most must be physically removed from the tank. Water changes are the most economical way! Once your tank is established you need to perform water changes on a regular basis. Never do a 100% water change! That will most probably kill your beneficial bacteria colony. 30% to 40% water change once a week is ideal for most of the aquariums. Test your water. The absence of ammonia and nitrite signals the completion of “new tank syndrome”. The Aquarium Cycle is actually an ongoing, never-ending, process. The fish produce waste – waste becomes ammonia –ammonia is converted to nitrites – nitrites are converted to nitrates. Once the tank is established the conversions will be so quick that a test kit will not be able to track them. Even in an established aquarium, adding new fish occasionally produces a slight increase in ammonia and nitrite. The bacteria, present in the tank, normally build up quickly to accommodate the increased load on the system. This is the reason you should not add too many fish at one time – add new fish slowly. You can also consider water treatment products to minimize the risk during adding new live stock. 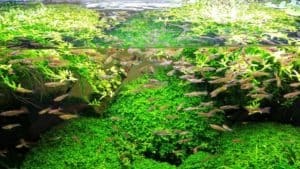 You should know the volume of your aquarium and calculate carefully how much live stock it can support and what filtration capacity it should have for the safety of your fish in the long run. Never over-feed, or over-crowd an aquarium. This will destabilize the balance and cause a rise in ammonia – which, as you now know, is toxic to fish. 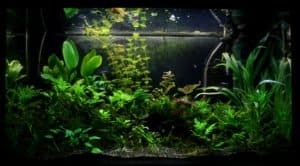 Keeping the pH of your freshwater aquarium at neutral (7.0) or slightly less will greatly reduce the stress that “new tank syndrome” puts on your fish. 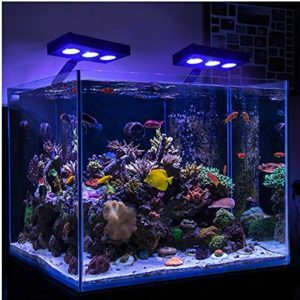 Unfortunately the pH of a saltwater tank must be kept much higher (8.4) so this stress reducing tip is impossible to accomplish in a marine situation. PrevPrevious PostFreshwater Sump Filter – What, Why and How?